The Xiaomi Mi Aluminium Refillable Pen combines a long lasting all-metal body with a super comfortable design to deliver a reliable pen that gives you the best of both durability and comfort. The lightweight constuction of the Xiaomi Mi Aluminium Refillable Pen ensures smooth writing for many hours, preventing discomfort as you write. The 0.5mm fine point delivers a razor-sharp, consistent lines. 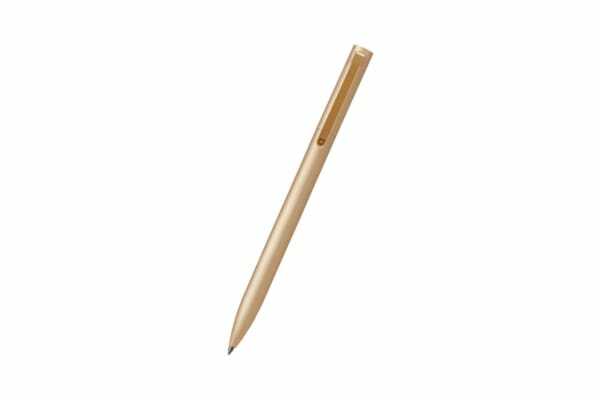 The Xiaomi Mi pen has a handy retractable and rotatable design that is convenient to use. The all-metal precision connection parts of this pen are tested 50,000 times to ensure exceptional durability. The 9.5mm countered grip of this pen gives you superior control and comfort.